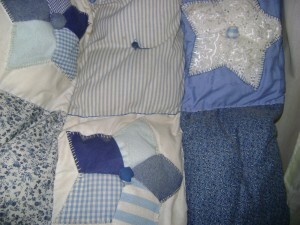 This is a blog about Begonias, Episcias, Quilts, Rag Dolls and Pet’s! I have been growing begonias, and sewing rag dolls for 25 plus years. 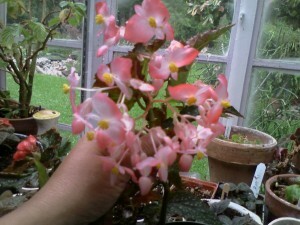 Begonias are my favorite plants they come in all shapes and sizes! Off course I had to try to collect as many as I could (can!) I started growing Episcias about 15 plus years ago; only because I had to prove to my Mom that I could grow them outside on the patio in the hot Texas heat! She was babying them inside under lights and they all kicked the bucket! She gave up, but I tried a different way to grow them and it worked. Off course Episcias still have to be brought indoors in the winter; they hate the cold! Did I mention they loved the Texas heat on the patio protected from direct sun of course? In the winter they grow under lights in a warm room and in the summer they go outside. I love looking at all the different handmade quilts. My Aunt Juanita use to make them all the time. She made them mostly for my cousin to sell to her friends and co-workers. My Aunt passed away a year ago; (I miss her) so I decided to try and make a quilt. I am still trying to finish my first quilt. I got into other quilt designs, like the log cabin types. I am happy to say I finished two of them. They are not made very professionally but I tried! I gave one to my Mom and the other to my daughter. O.k. now about pet’s. I have owned mostly dog’s, maybe two cats at one time, pigeons I have picked up from the street because they were injured; but once they got well they flew away! I have had rabbit’s 3 huge one’s that lived freely in the back yard; they were huge! I had a Ferret for one week, he escaped from someone in the neighborhood and it decided to come straight to me and jump in my arms! He’s lucky I like all creatures. My daughter say’s all animals come looking for me so I can give them a home. But I like them better when someone else is taking care of them! Anyway the ferret’s owners came and got it. I was glad about that! I didn’t know what it ate and how it liked to sleep it kept hiding under a towel I had. My daughter was sad; she was getting to like the ferret. 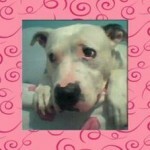 Anyway please send in your comments, pictures and any information about your hobbies and pet’s. Hi Toni, I rec. my 3 Episicia starts today, I was SO pleased, you are the fastest and best seller I ever had….They are beautiful and the Angel wing is good ,too, I think mine had wider leaves so maybe a dif. variety. 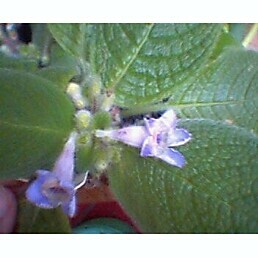 None the less, I was so pleased with them.The episcia I just lost had a little more pinkish in it. But not a strawberry patch. Maybe pink panther, don't rem..which one I had. I have loved them for over 20 years..My husb. bought me my first and a lipstick plant that day also. I love plants and dogs and animals… I write poetry, I can send you one, sometime…I have 4 small dogs in the house and they are a handful for me I am 73 years old and live alone. I am a born again Christian…I hope you have a wonderful day and once again I loved the plants. 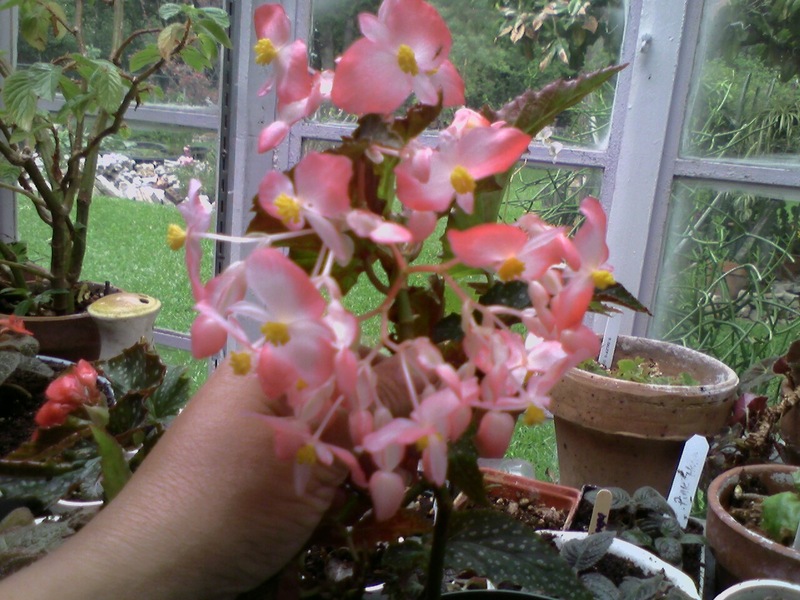 Have you ever had a Maui Mist begonia? I have a lettuce leaf and plain [gobe???} we always called them Beefsteak Begonias. Bye JoAnn. I am so glad you liked your plants! I would love to have some of your poetry! I have never known anyone that writes poetry before! I don't know how you manage with four dogs! I have two and they are a handful. I don't have Begonia Maui Mist, but I do have the lettuce leaf begonia. 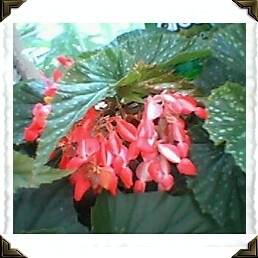 I just love begonias there are so many to collect! I also love episcias they have such beautiful foliage and are much easier to grow than Rex begonias! I am also a Christian and I thank God every day for helping me make it through one more day and for giving me the gift to grow all of this beautiful plants! Thank you for your comments! I hope you are having a day.